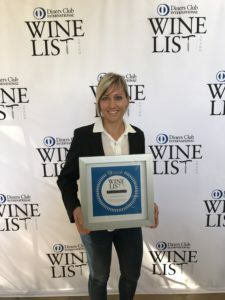 Mhondoro Safari Lodge is one of only a select few South African game lodges to have received the coveted 2017 Diners Club Platinum Winelist Award. The luxurious 5-star safari lodge is located in Welgevonden Game Reserve in the Waterberg (Limpopo province). Since its opening less than two years ago, it has been widely recognised for its unique culinary offering that focuses on a healthy food concept, further enhanced by what is now known as an ‘award-winning’ wine list. Mhondoro distinguishes itself from other safari lodges with its style and quality of fresh, home-grown and beautifully plated food, presented in an exciting, modern African style. Complementing the culinary offering, Mhondoro takes pride in presenting a comprehensive wine list as a showcase for South African wines. The wine list offers a selection across most varietals produced in this country, including sparkling wines, dessert and port-style wines, as well as white and red blends such as the iconic Meerlust Rubicon and Kanonkop Paul Sauer. Mhondoro Safari Lodge has teamed up with a renowned international yoga instructor and detox specialist to present an exclusive 6-Day/5-Night Detox and Yoga Safari at the 5-star lodge in the Welgevonden Game Reserve (Limpopo), from 20 to 25 November 2017. 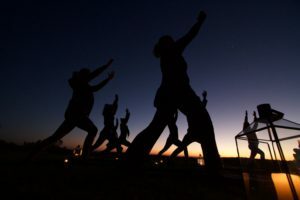 The package includes 5 nights’ luxury accommodation and a complete detox programme with healthy meals and three detox juice fasting days, as well as personal coaching, yoga and meditation sessions, daily safaris, bush walks and mindfulness walks, and three spa treatments, from R39 555 per person sharing. Guests who prefer a less strict diet, may opt for a Healthy Eating programme, based on a detox menu, but excluding the three Juice days. The programme will focus on detoxing. Toxins enter the body through sprayed foods and chemical additives in food, cosmetics, air pollution and medicines, while stress further acidifies the body. Stored toxins can manifest in symptoms such as fatigue and digestive problems. The body is built to dispose of waste itself but with the amount of polluted substances that are produced nowadays, the body can use some help! A supervised detox programme aided by specially formulated organic juices packed with vitamins and minerals energizes the body and helps it body to function optimally again.